Ted Simons is the award-winning host and managing editor of “Arizona Horizon,” the nightly public affairs show on Arizona PBS. Simons moderates discussions with government officials, business leaders and policy makers about the issues, laws and policies that affect Arizonans in their everyday lives. The long-time Valley journalist joined “Arizona Horizon” in 2007. 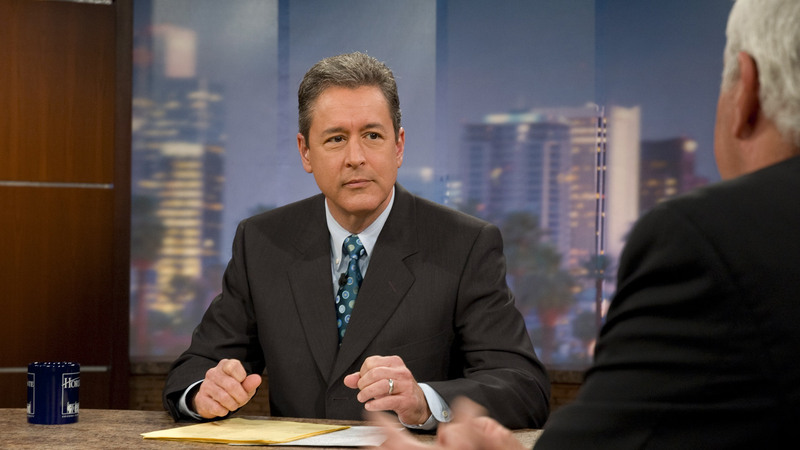 Prior to joining Arizona PBS, Simons hosted the afternoon drive news/talk show on KTAR radio, worked as news director/morning show host for KZON-FM and news/sports anchor/reporter at KPHO-TV. Simons was also sports director/anchor at KOFY-TV in San Francisco. Simons has received numerous print and broadcast journalism awards, including the Rocky Mountain Emmys, the Arizona AP Broadcasters Association Award for Radio Talk Show and Radio Newscast, and numerous New Times Best of Phoenix honors.